It has been over a month since the floods that ripped through the area. It is only now that we are starting to truly understand the way that it may have changed the animal dynamics in the area. I mentioned it some days ago when we spoke of the Tsalala Pride and how they appeared to have lost some members…sadly I am now sure of this. 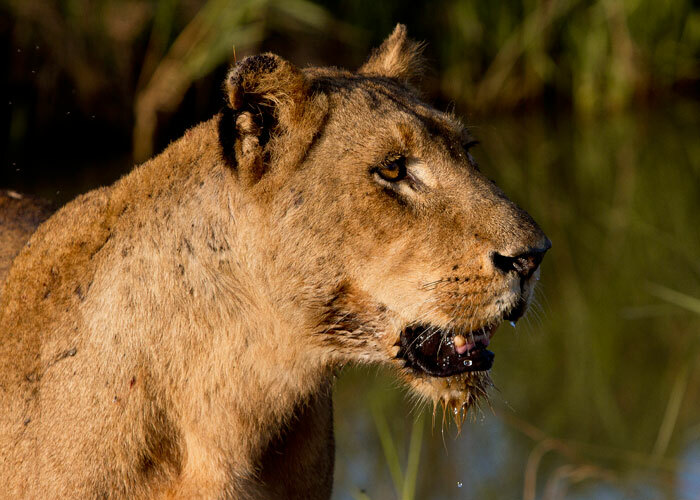 Since the flood this pride has been extremely scarce at Londolozi having been seen only six times in nearly four weeks. We are still unable to drive the top northeastern sections of the northern parts of their territory so there is the chance that they have been hiding out there. It is sad to think that a couple of months ago there were ten of them. Oh how nature seems so unfair! We will never be able to say with 100% certainty what the cause of the disappearance was, but it will go down in my books as them being washed away by the raging waters of the flooded Sand River. It just seems too much of a coincidence that we had tracks of the mothers trying to get the youngsters across and that immediately after the rains two went missing. So unless this pride can pull off another fairytale story, like they did when the five month old cub survived alone for five weeks, it seems they will have to push on as is. In other Tsalala Pride news the Original Tailless Female appears to be moving between the two portions of the pride. Perhaps this newest knock to the Tsalala Pride may provide the Sisters with the reason to finally accept the Breakaway back into their pride. Maybe it is the case of the pride having to move one step back to move two steps forward. So yes it is sad; nature has shown us yet again that she is brutal and that ‘fairness’ does not always seem to be abundant out here in the Lowveld. It does however, give us the fortunate chance to see first-hand how these extraordinary cats handle yet another hurdle that has been thrown their way. 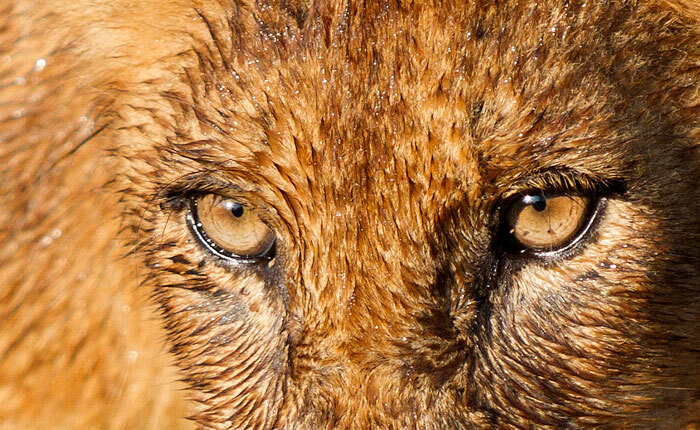 Extreme close up of the eyes of the youngest remaining member of the pride. Dear Adam, Thanks for the news, even if sad. 3 cubs left out of 8, after 1 year only, that is really a bad quote, and it once again shows all the eventualities (buffalo, floods, hyena, male lion) young lions have to confront. It’s a long way to the top (to be a dominant male lion or a breeding female). Maybe there is a chance they may just have been separated and will miraculously return as did the ‘litttle guy’. HOPE springs eternal, for me. Otherwise it’s just too sad. Hope the prides reunite, though; that would be welcome news. Thanks for the update! Thank you Adam. Hopefully there will be happy reports soon. Adam, thank you for the update. Another example of Mother Nature doing what she does best even if we humans don’t understand. Life will go on for her creatures at her will. Hope to see a HUGE pride when we return next year. Thanks for the update Adam. 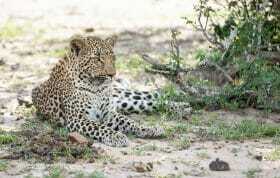 It saddens me as the 10 were my first animal sighting after arriving at Londolozi back in August. They will always hold a special place in my heart. Thank you for the update. We have been wondering what has happened to the Tsalala pride since the flood. As the Douglas family said above, we also spent time with the 10 while we were there, but this past Sept. They have held a special place in our heart ever since. It has been a heart breaking journey with them. We can only hope that the cubs that are left can flourish from all that has taken place!!!!! 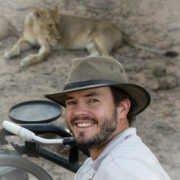 We love this blog and it is how we can stay in touch with Londolozi and South Africa on a daily basis. Thanks for the update. We enjoyed getting to know them and hope this pride will come back stronger than ever. 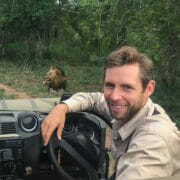 As I’ve mentioned before, we were with Talley when the Tsalala cubs were first seen in August. We affectionately named the leader of the 4-pack Shayne. He was the cub who miraculously survived five weeks on his own only to be killed by a family member. I was just going to e-mail Talley as to why there hadn’t been any recent reports on the one surviving female, and now sadly your report. Thank you for the update. I can hope for new cubs and happiness in the near future. Sad, but interesting dynamic. All the remaining cubs are female, as well as the 4 remaining lionesses from their prior litter. If they ever unite, this will be one giant pride. Or perhaps the 4 sub-adults may just form a new pride-they certainly are close to mating age and seem to be doing very well on their own? THANK YOU FOR THE UPDATE…IT SEEMS THAT THE NEW TAILLESS DIED TOO…SO SAD..
Themlma not sure where you heard about the New tailless being dead…she is alive and kicking. She was seen last night with her pride so all is good! Adam, I have a question unrelated to the Tsalala pride. Do the photographers ever sell prints of pictures that they have taken? I want to frame some pictures for my living room wall and am having a hard time finding enough good shots that I took. Yes very sad to look at the picture of the four cubs hanging on my wall and know two are no longer around. I guess we need to get back there to attach ourselves to some new cubs! It is sad to think about Ed, yet we all have to notice that the cycles of life continue and already there are new cubs to enjoy viewing. We look forward to having you back here to see these guys.